Huntsville’s growth continues to draw companies from out-of-state, hoping to latch onto the good fortune here. Charlotte, N.C.-based Bad Daddy’s Burger Bar is opening its first Alabama eatery in the Rocket City. The restaurant will be in Times Plaza, the work-retail-dining development on South Memorial Parkway. “We chose Times Plaza as our first Alabama location because of the growth the city is experiencing and the location’s visibility from the adjacent (Memorial Parkway),” said Bad Daddy’s CEO Boyd Hoback. “The area includes major upscale retailers and offers synergy among businesses. Bad Daddy’s is a scratch kitchen serving premium angus burgers and quintessential American fare. The 4,107-square-foot restaurant is slated to open in the fall. “Simply put, Bad Daddy’s elevates the standard beer and burger to a whole new level,” said Amy Nedwell, director of marketing for Bad Daddy’s. “We are a high-intensity scratch kitchen serving chef-driven menu options made to customer specifications. Best of all, we have something for everyone because we go beyond beef. In an effort to be an inclusive destination, the eatery serves an expansive menu that includes much more than its award-winning, premium burgers and fries. Guests can also enjoy bison, tuna, turkey, chicken, and a vegetarian black bean burger. Local beers will be available on tap at the Times Plaza location, as well as a signature cocktail menu. There’s even a selection of adult milkshakes and a Happy Hour menu that’s available daily. Kids are also welcome to treat themselves thanks to a children’s menu featuring sliders, hot dogs, grilled cheese, tenders and more. “Bad Daddy’s is an iconic brand that already has a dedicated following in several states,” said Anusha Davis, Crunkleton Commercial Real Estate leasing agent. “They have been searching for a way to enter the Alabama market, and we are thrilled they chose Huntsville as their introduction. Reflecting investors’ confidence in the Huntsville area economy, four shopping centers were recently purchased, according to Newmark Knight Frank, a commercial real estate advisory firm. The four deals – Highway 53 Centre in Huntsville, Hazel Green Shoppes, Hazel Green Centre and Hartselle 31 Centre – are valued at more than $13 million and encompass 84,616 square feet of premium retail space. NKF Senior Managing Directors Drew Fleming and Mark Joines, and Associate Henry Kushner represented Athens-based Ming Enterprises in all four transactions. Ming Enterprises, a commercial real estate development and brokerage company, is operated by father and son team, Bill and William Ming. In the last year alone, several economic development projects were unveiled across the region that represent more than 6,000 new jobs and $4.1 billion in growth. Major employers expanding or relocating in metro Huntsville include Mazda-Toyota Manufacturing, Facebook, Google, GE Aviation and Aerojet Rocketdyne. Ming Enterprises sold the 43,000-square-foot Highway 53 Centre at the intersection of Alabama 53 and Research Park Boulevard to a private buyer. The center is 100 percent leased to tenants Edward Jones, ALFA Insurance, ABC Liquor and other service-oriented uses. The area boasts a combined traffic count totaling more than 40,000 cars per day, and is a major thoroughfare for commuters who work at Redstone Arsenal and Research Park. In Hazel Green, Ming Enterprises sold the 30,500 square-foot Hazel Green Shoppes and the 6,212-square-foot Hazel Green Centre. 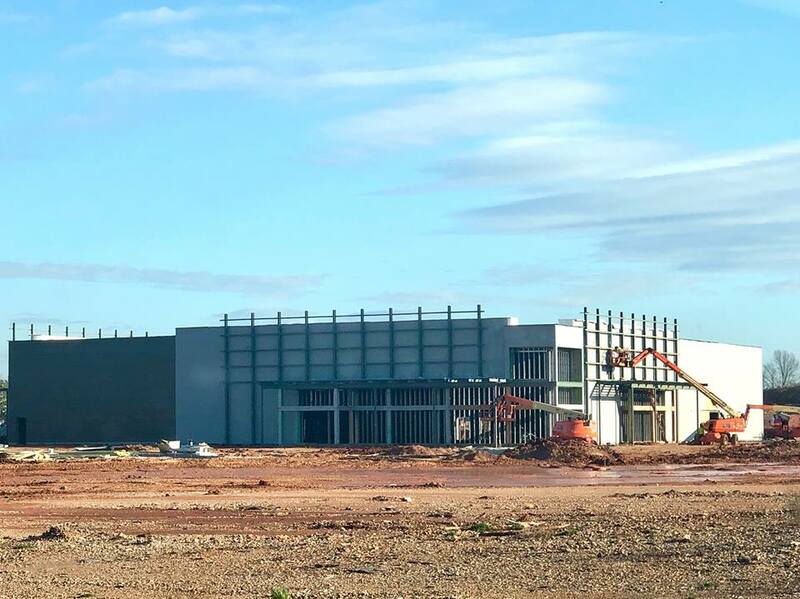 Hazel Green Shoppes on U.S. 231 was completed in 2017 and is 100 percent leased to anchor tenants Dollar Tree, Hibbett Sports and Verizon Wireless. 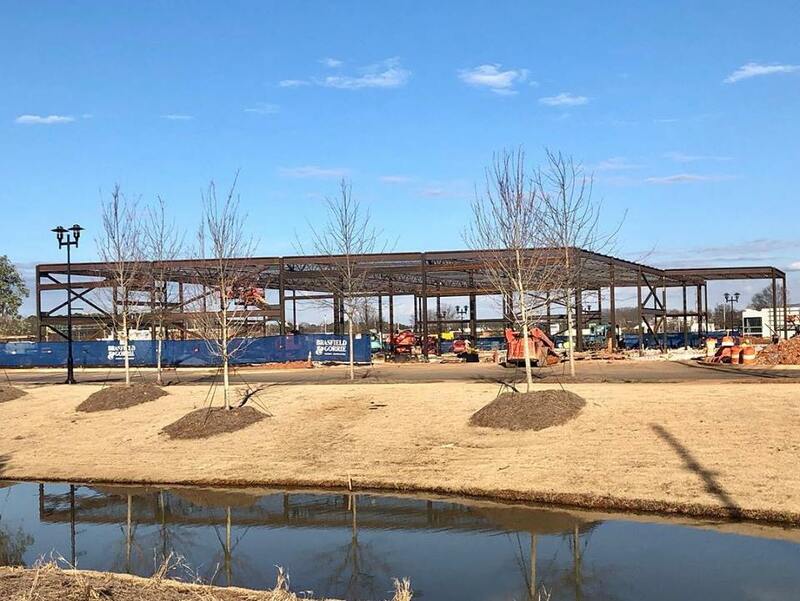 Hazel Green Centre, across the highway from Hazel Green Shoppes and in the same parcel as the Walmart Supercenter, was completed in 2015 and is 100 percent leased to tenants Arby’s, AT&T, Great Clips and Papa Murphy’s pizza. In Hartselle, Ming Enterprises sold the 4,904-square-foot Hartselle 31 Centre, which was built in 2017. It is 100 percent leased to Arby’s, Great Clips and Papa Murphy’s pizza. It’s time once again to start talking Trash. That’s right. Trash with a capital “T” – as in Trash Pandas. The Rocket City Trash Pandas are holding a grand reopening of the team’s Emporium and Season Ticket Center on Friday. Doors open at the newly renovated store at Bridge Street Town Centre at 10 a.m.
Fresh on the heels of record-setting sales, the Trash Pandas will be selling never-before-available team apparel and novelty items. The first 250 fans who make a purchase of $25 or more will receive a commemorative “Stadium Groundbreaking” baseball. products from throughout North Alabama was so intense that we complied with our fans’ wishes and will keep the store open at least until we move into the new stadium. The restocked Emporium will feature all sizes of the most popular Trash Pandas merchandise that could not be kept in stock during the holidays, including the ultra-popular New Era 59FIFTY authentic fitted cap; the one worn by all Minor League Baseball players. Among the new merchandise available Friday will be tank tops, sleeveless tee shirts, and new colors and styles of infant “onesies.” Coming soon will be items such as pop sockets, pennants, wall art, pet supplies, and new styles of hats from New Era. The store will host the official Trash Pandas Season Ticket Center. There will be seating samples from the ballpark for three premium areas: Home Plate Luxury Field Boxes, Legacy (drink rail) seating and High Tops. A new feature will enable potential seat holders to view the field from any seat in the ballpark. While two sections of the new stadium have already sold out for the first three seasons (Reserved Seating Stadium Club memberships and the half-moon shaped Four Tops), new reduced-price Stadium Club memberships that do not guarantee an outside seat will be available. Pandas apparel. Our fans told us what they like and we think the new items to be introduced this spring are going to start a whole new wave of excitement.